The Ointment Plants are ideal tools for the pharmaceutical & cosmetic industries for the production of Ointment, Cream, Lotions, Tooth Paste & other emulsions & homogenizations. It is specially designed to take care of two critical factors which directly affects the quality of the Ointment/Creams. *Minimum man handling of Ointment. * Negligible vacuum drop during mixing & blending. 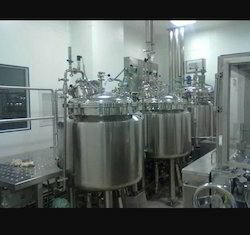 Looking for Ointment Manufacturing Plant ?